First, think about the possibility of hiring a licensed professional. Contractors seek to give you the products and service that you want at a price that you can afford. Refacing cabinets can be a difficult task. You must take the cabinets apart, clean everything thoroughly, and put the parts back in place with replacements if desired or necessary. A professional is experienced in making the little decisions that may seem daunting to someone who has never refaced cabinets. It is advisable to hire someone for your cabinet refacing needs. If you do decide to take on this project, make sure to label and save all parts of the cabinets. As you take things apart, it may become confusing to know which pieces fit back together. The project can also become much more expensive if you forget where parts go or if you lose screws, nuts, and bolts. In either case, you might need to purchase new parts to complete your cabinets. Ensure that you are using quality products. Throughout the course of the project, you will need cabinet cleaner, paint, and other materials. As you viciously scrub your cabinets, the right cleaner can soak into those places that you are still sure to miss. Paint pulls everything together. Invest in a high quality brand to have the cabinets that you worked so hard for. 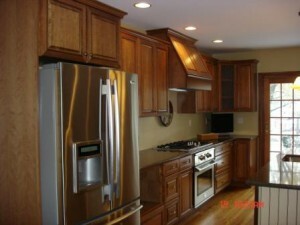 Cabinet refacing can be a huge headache to do on your own. The first tip is to hire a professional. If that is impossible, remember to save and label parts and to buy quality cleaners and paints. A contractor can make all these decisions much more manageable.